I love the trend of feminine menswear, and here’s the items I’d love to own. I had lots of fun to draw these. Do you have any favorite items? Oh.. I so need a new briefcase now. i love feminine menswear as well! love the blazers! so gorgeous! akiko ~ you are so talented i can’t even stand it!! i LOVE these… those oxfords are amazing as is the fedora!! LOVE LOVE LOVE!! p.s. i must get to F21!! 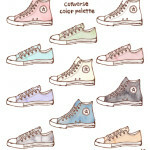 This drawing is so cute! Great job. I hate total-look on me, I mean be dressed with women items only. I’ve got three pairs of oxford shoes for men, a wool coat and a big watch. I like oversized things on me, but after I have to “feminize-it”. I like to match it, I love loafers, also. But the masculine touch musn’t be strong. Just a coat and a pair of shoe fit perfecetly with a feminine outfit. That’s not a lesson but what I think about ! Anyway, love your drawing as usual. Love the drawings. I’d love the fedora and the briefcase bag. Did you do the drawing? it’s cool! I love the wool coat and the structured bag a lot ! 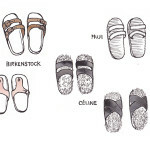 wauw, nice drawings i love them!! wow, you are so talented! These are great sketches! 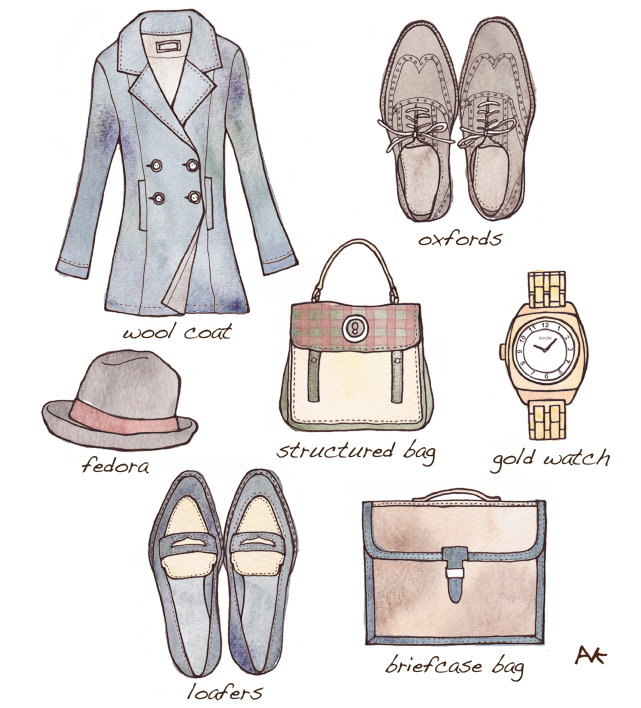 Id love to have a structured bag,fedoras and oxfords.n OMG you drew them?they are awesome! 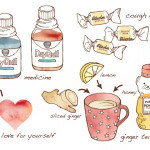 You are very talented in your illustrations! I have a structured bag and fedora and love wearing them! I too love this trend of wearing menswear!! You are such an amazing artist!!!!!!! You are so talented! I love menswear too. I really love the loafters! Cute post! i LOVE your drawings! what materials did you use to draw this? 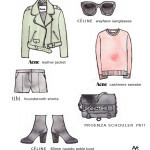 love it – menswear is my favorite.